Most amateurs take up running as a healthy lifestyle option and get hooked on to the habit, thanks to its addictive effects. As the bug bites harder, and habit becomes a passion, its natural human urge to improve upon past performances. 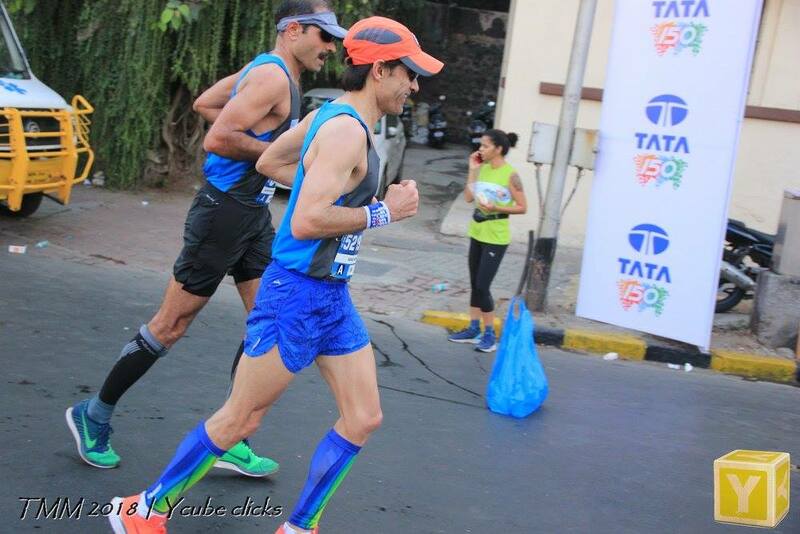 Peer pressure often adds to it and there is no runner who is happy running at the same pace and doesn’t want to achieve that ever-enticing personal best, PB in running parlance. Speed is a natural outcome of improvement in all other aspects of running and should not be viewed in isolation as a solitary goal. Just running hard with excessive effort will never lead to faster paces, and even if it did, it won’t be sustained and can lead to injuries. To compare with a car, faster speed requires a strong but light and agile chassis (muscles, bones, ligaments), a powerful engine (heart), aerodynamic shape which utilizes energy most economically for forward propulsion with no wasteful movements (proper running form). This has to be combined with proper fuel (hydration and nutrition) and an ability of the muscles to utilize oxygen most optimally (VO2 Max). Additionally, the body needs the ability to sustain this pace over the required distance, overcoming the fatigue inducing factors (Lactate threshold and Mental factors). Proper rest and recovery between workouts and races are imperative to achieve the intended targets without getting injured. Inadequacy in addressing any of these factors would prevent the runners from achieving their best. The good news is that all these factors can be improved to a large extent by goal-directed training. Strength training, conditioning, stretching and agility drills are needed to build a strong light and flexible body. Proper running form helps in running economically thus effectively utilizing the energy to generate speed. This also helps prevent injuries which is very important to get through long training cycles successfully and achieve best results. A strong core and mindful effort help in maintaining proper running form. Short strides done as 50-100m fast repeats help in building good form and improve running economy. Improved body composition (leaner, less fat more muscular) with near ideal body weight will help improve VO2 Max, running efficiency and as a result, speed. Aerobic long runs (cardio) help in improving heart functions, enhance blood circulation to the muscles and maximize energy producing mitochondria. This, in combination with speed drills (running Intervals of varying distances) help improve the VO2 max. When long slow runs are done in a fuel depleted state (fasting runs of 90-120min), it helps in weight loss, improve body composition and practice fat utilization as energy source. The ability to sustain pace over a longer distance requires the muscles to delay fatigue which can be achieved by improving lactate threshold (long intervals and tempo runs) and building up a bigger muscle pool (strength training and speed drills to recruit more muscle fibres). Mental factors which hinder achieving one’s potential paces can be addressed by doing long runs, adding difficulty with incorporating hills and other race-specific environmental factors. Every runner is different and is fortunate to be blessed with at least some of these characteristics and lacks some of them which hinders achievement of speed that he or she is capable of. Therefore, to achieve one’s optimum potential, a runner has to go through comprehensive training which is individualized to augment and enrich these aspects to requisite degrees. Training paces for these different types of runs are decided based on the runners’ present capability and intended achievable targets. Various running calculators available online can be used for this purpose as a do-it-yourself option. (mcmillanrunning.com) A smart coach who can incorporate these paces into an individualized training plan would be a more prudent option though. Running for amateurs is a healthy lifestyle option and has now taken the shape of a competitive sport. To continue obtaining its benefits while simultaneously enhancing performance, one must train smart and remain injury free. Enjoying the process and doing the right things to improve all these aspects of running over time will let the body mature into a stronger and faster one and results will happen. To rush into it with the sole aim of forcing a faster pace will only lead to injuries which may jeopardize a runner’s future.